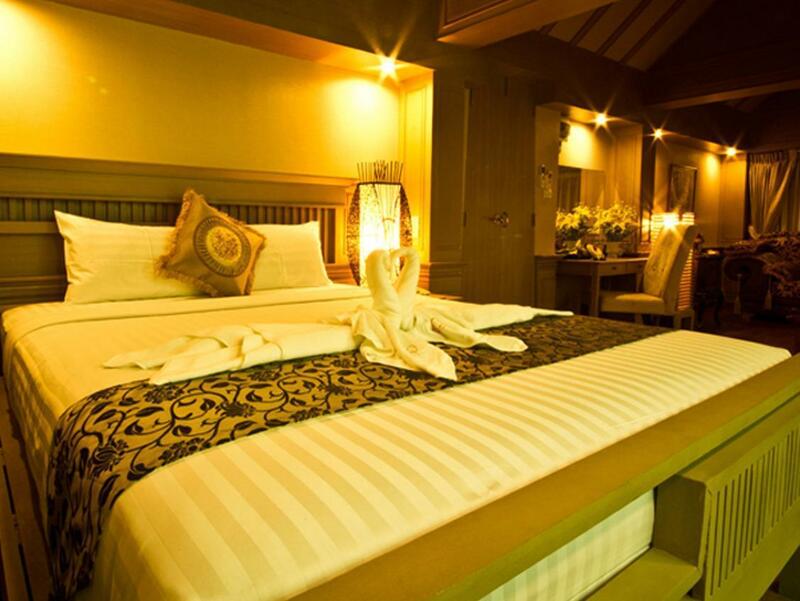 Heeft u een vraag voor Khum Jao Luang Boutique Hotel? Tijdens uw bezoek aan Chiang Mai zult u zich snel thuisvoelen in Khum Jao Luang Boutique Hotel, dankzij de hoge kwaliteit en de goede service. Het hotel ligt slechts 2.8 km van het stadscentrum: lokale bezienswaardigheden zijn dus snel te bereiken. Dankzij de praktische locatie liggen alle belangrijke trekpleisters in de buurt van het hotel. Bij het Khum Jao Luang Boutique Hotel staan de excellente dienstverlening en superieure faciliteiten garant voor een onvergetelijk verblijf. Voor het comfort en gemak van de gasten biedt het hotel gratis wi-fi in alle kamers, 24-uur beveiliging, dagelijkse schoonmaak, wasserette, taxi service. 37 kamers, verspreid over 3 verdiepingen, bieden een warme en plezierige atmosfeer met modern comfort zoals plasma tv, internet (draadloos), draadloos internet (gratis), bad/bubbelbad, rookvrije kamers. Daarnaast garanderen de talrijke recreatieve mogelijkheden dat u zich tijdens uw verblijf kunt vermaken in het hotel. 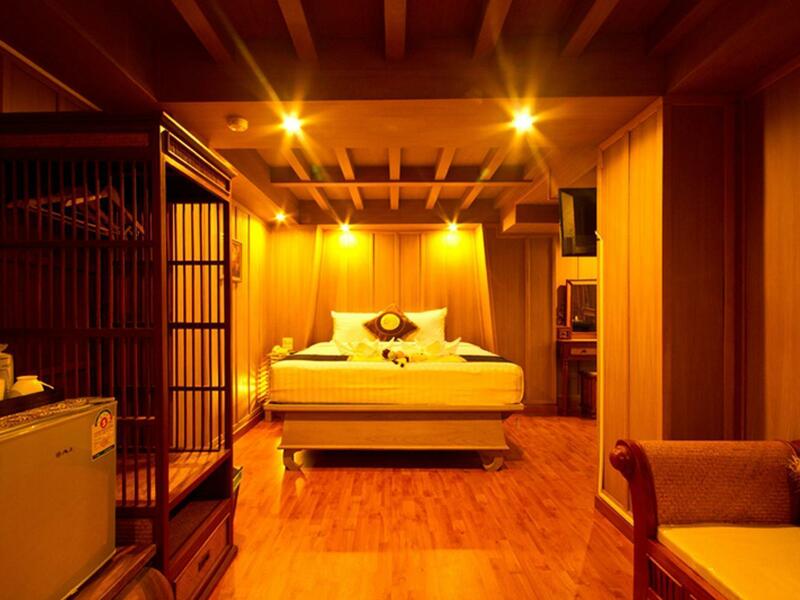 Wat de reden van uw bezoek ook is, het Khum Jao Luang Boutique Hotel is een uitstekende keuze voor uw verblijf in Chiang Mai. The traditional Lanna decor for the hotel was really intricate and nice. Location is fantastic. Short walk from the night markets. It's right next to the Imperial Mae Ping hotel which is much more expensive. KJL served our needs better as we just wanted a place to stay...didn't need the big hotel frills. A whole row of massage places right next to KJL. Highly recommend DD Massage....the elderly lady is quite skillful and her staff , a guy, is actually a trainer who trains masseuses. The hotel is very well located, make sure you let the staff park your car, as there is literally no parking near the hotel. Also, make sure to take some "anti-mosquito" product, this hotel is full of mosquito. We spend 30 min chasing mosquitos and we had to put a good amount of cream to avoid be blood sucked all night long. Take note that the hotel is very close to the water, so it smells quiet a lot, we always travel with smelling candles so it was really nice to have them with us, if not that would not be possible to sleep, the sinks and toilet smell is quiet important. Very close to the night market and to a bunch of massages so it is cool place. The breakfast is very poor. 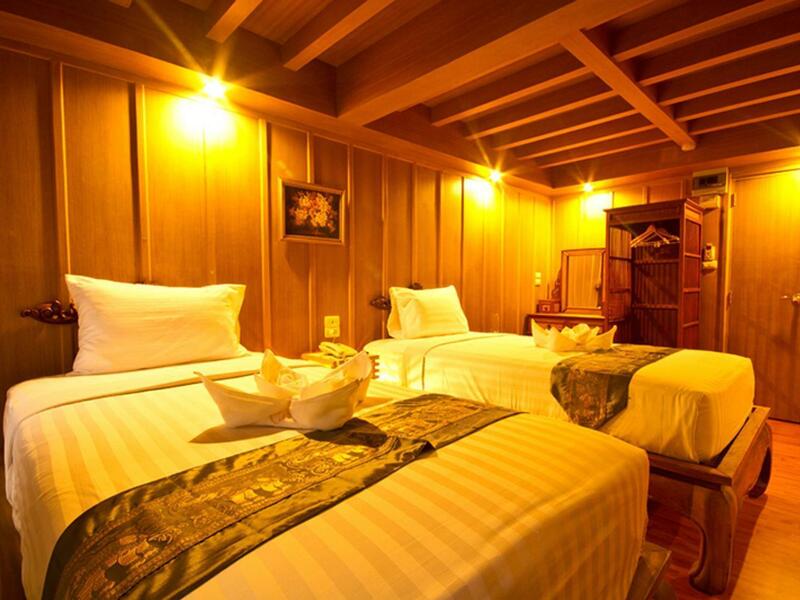 Our stay was very pleasant at Khum Jao Luang. The location is perfect for walking around Chiang Mai. It's very close to the Night Bazaar and about a 20 minute walk to the Old City. The staff was very nice and always did whatever they could to be helpful. We did experience a problem with mosquitos but that was all over the town I think it was the time of year, just bring bug spray! This was a very safe location as well. We were two female travelers and always felt safe. Our stay was fair (6 nights) but the hotel is over prized. This might be due to the peak season in Chiang Mai. Special decoration for a hotel and looked different but okay, beautiful decorated. Room was small and the king size bed was "made" from two single beds put together and the matrasses installed opposite way on top of the bedframe. However, comfortable but only 30 cm left for passage to the bathroom and this is not sufficient. There is no windows in the room facing the road only doors out to a sort of balcony were all the air con units for each room and can be noisy during the night. Breakfast only toast, scrambled egg, salad, ham, sausage, coffee, tea, juice, milk and Thai dishes. Could improve with yoghurt, cereals and some god bread for foreign persons. Staff very polite and helpful but we would choose another hotel next time. Great location, nice staff, clean rooms. Loved it. Was maybe a little overpriced, but felt safe clean and welcome. The tubs are really weird, but I didn't go there to sit in a tub. Be sure to get a massage next door at Chai Massage it was recommended by the hotel staff and it was a nice clean place with great staff. good location, food was ok.
my stay was terrible. i booked a room with windows and paid good money for it but upon check in, i was given a room with no windows. complains to the staff made no difference as they said the rooms were fully booked and they could not do anything. this is definitely not acceptable. highly not recommended to stay here! i was not given a refund as well. 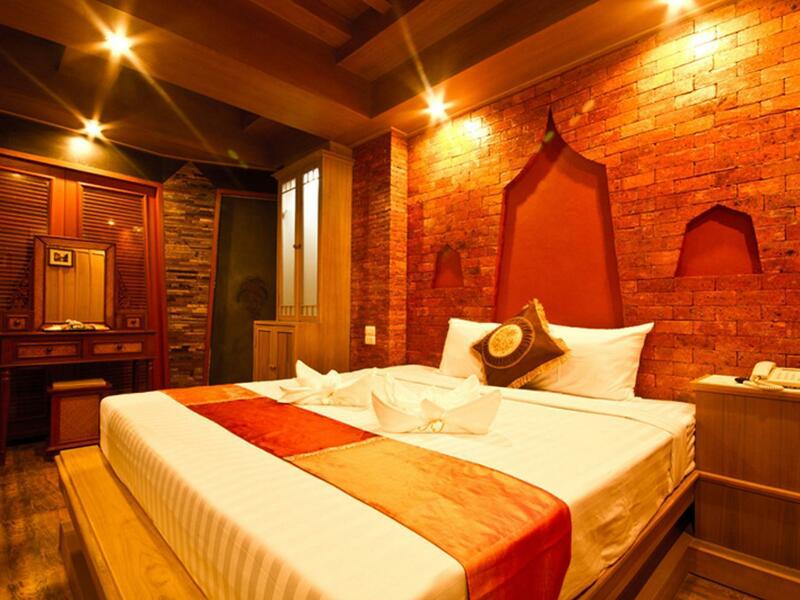 The Khum Jau Luang Boutique Hotel is one of the newest in Chiang Mai. It's beautiful inside and out, with friendly staff, a great atmosphere and a fantastic location. It's a small hotel and the rooms themselves are quite small, however very well placed to make it feels as if there is plenty of room. What they lack in size they make up in decor. They decor is very authentic and feels like a bit of real Thailand (although a lot cleaner!) The bathroom is small and well laid out, with a fantastic bath. The location is very close to the night bazaar, and a very short walk into the old city. The included breakfast changed a little daily and the quality was surprisingly good. All round a highly recommended hotel, especially for travelling couples - don't stay in a massive hotel, stay in this beautiful and easy hotel and support a Thai business that's doing it right! We stayed for one night only and it was very basic and smelled kind of funny. The rooms are big but they are decorated really badly and the set up isn't comfortable. Definitely not good value for the money that we paid, even though it wasn't expensive overall there are much better places in Chiang Mai. It was such a great experience. Great staff. Friendly and helpful. It felt like I was home...but even better! noisy refrigerator(made noisy every 2-3 mins, which made me hard to sleep), pornographic painting, mosquito, the soap was half-used, the bathtub is made by wood which has been used for long time, and dirty; On the other side, the receptionist was not professional, chatting always, and sometimes there was nobody in reception desk. Location. Can't think of anything really good. Location was good - nearby to night market & cafes. But hotel was small & inconspicuous - locating it might be difficult. The bath towels need to be replaced. They looked old & over-used. A 4-star hotel ? Must be a joke by the hotel management. Do I want to stay there again ? No. Breakfast didn't look appealing. Didn't take the free breakfast that came with the room. I stayed here during the Loy Kathrong festival in November and found it to be better than expected! Most of the hotels nearby were fully booked, and I did not expect this to be a great stay initially. Hotel was only a 5 minutes walk from the night bazaar area, with quite a few bars and massage parlours along the way. Rooms and facilities were clean and new (not sure if its newly renovated since i saw a note at the front desk saying there was a change in management). Plenty of powerpoints, nice shower area with spacious bath tub. Free WiFi provided Check-in was rather easy (was not asked for any deposits, but still required to fill in the usual forms and passports). They only provided one room key (not a card, but literally a key with a huge tag that you slot in your room to get electricity), and you can leave the key in a basket at the frontdesk before you head out for the day. Would love it if they can provide a safe in the room. Did not see any hair dryer and TV signal/ quality was poor. Do note that the back of the hotel faces a small river with a tiny walkway. Back of the hotel had large louvre doors covered with glass on the inside, and translucent glass panels. They had overgrown vines on both, but you can still see the outside if you take a closer peek. Curtains can be drawn as well, but felt a bit uneasy when sleeping at night (I was staying on the first floor). I believe they have a second floor, so it might be a better option to stay upstairs. Booked only one night thank goodness as when we arrived we found the room to be very dark. No windows or shades to even open. The room had a very moldy, mildewy smell that did not dissipate even after having the air-conditioning running for several hours. The beds were rock hard and the wifi reception was he worst of our stay in Thailand. We had to sit in the hallway in order to get a consistent wifi connection. Learned a lesson with booking this room. Check to ensure there are windows as staying in a dungeonous room is no fun. During our stay, we unfortunately had to switch rooms every night for the 4 nights we stayed due to bugs, toilets not working and uncomfortable beds. For the money we spent, the quality was not at all worth the price. The hotel was totally inflexible, the staff who attended to us was impatient and not friendly at all! With my old & tiny 80-yr-old mother-in-law along, I explained that I would like her to sleep with my 2 sons in 1 room, while my husband & I took the other room. We have done this with NO fuss and at NO extra costs wherever we have traveled to BUT at this hotel, NO, I was told I must take another room! After much 'negotiating' and kept waiting for quite some time while the unfriendly staff talked to Agoda, he then told us pay extra money, then my MIL can share the room! We are totally displeased and unhappy with this hotel and the treatment we received! FYI, there was a clump of dust in the dressing table drawer...do they even housekeep? The shower wets the whole bathroom up, so badly conceived it is. It is close to night bazar that is the only good thing, otherwise nothing else. it is highly overrated. The front desk staff (it was a thin guy - may be Katoey /ladyboy) very rude and arrogant. the rooms on 2nd floor had no sunlight so opt for higher floor rooms. There is only one restaurant which does not server dinner and even choice for food in breakfast is very limited. it is said to be buffet breakfast???? the rooms and furnishing are very old, and the bathroom/bathtub were leaking. would not like to stay here again and would not recommend it to anybody else either.